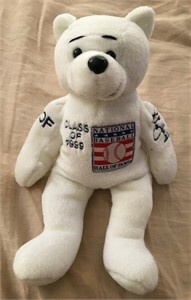 Robin Yount 1999 Baseball Hall of Fame induction commemorative Bammer Bear produced by Salvino. BRAND NEW (TAG REMOVED). ONLY ONE AVAILABLE FOR SALE.